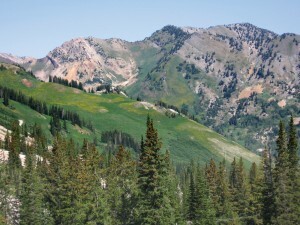 Devils Castle exposes tilted layers of limestone and dolomite of the Deseret, Gardison, and Fitchville Formations above Albion Basin at the head of Little Cottonwood Canyon. 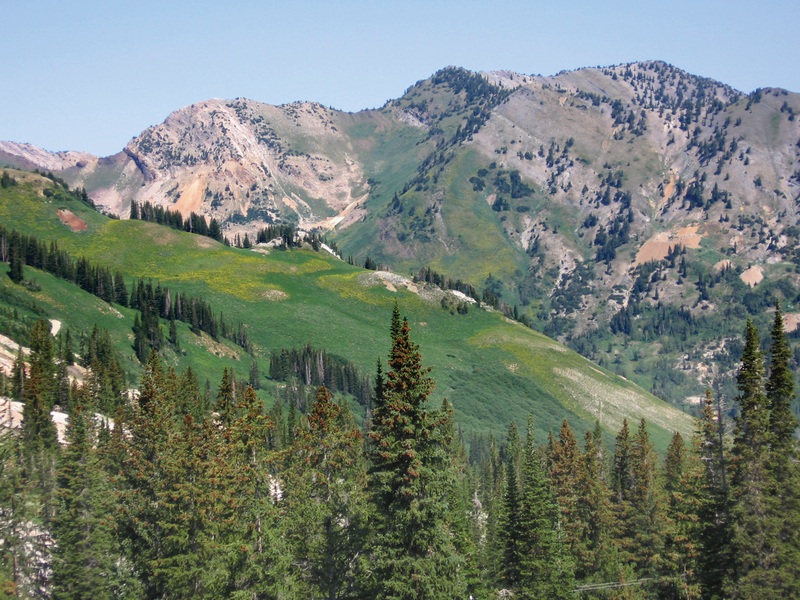 Discoveries of silver, gold, copper, lead, and zinc in the area led to establishment of the Little Cottonwood mining district and the town of Alta in the late 1800’s. 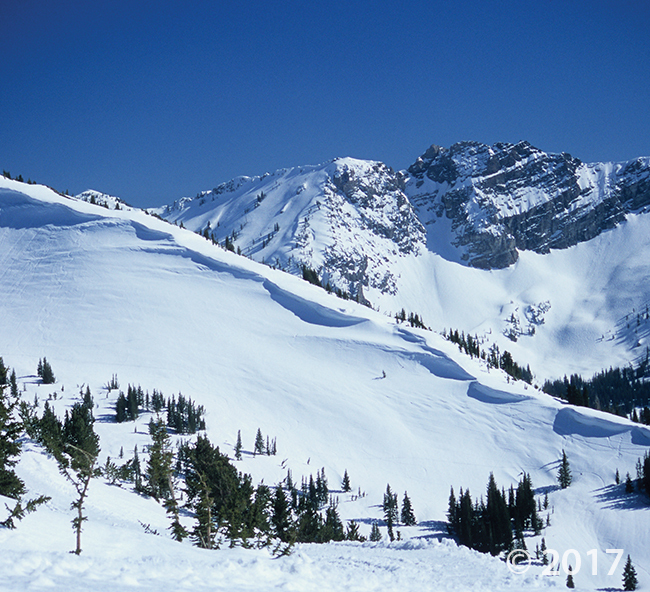 Viewed across Albion Basin from the Secret Lake trail, the southfacing slopes of the Flagstaff Mountain area reveal tilted Cambrian- to Pennsylvanian- age strata. The deformation of these rocks attests to the severe folding, faulting, and tilting undergone by this mountain range.